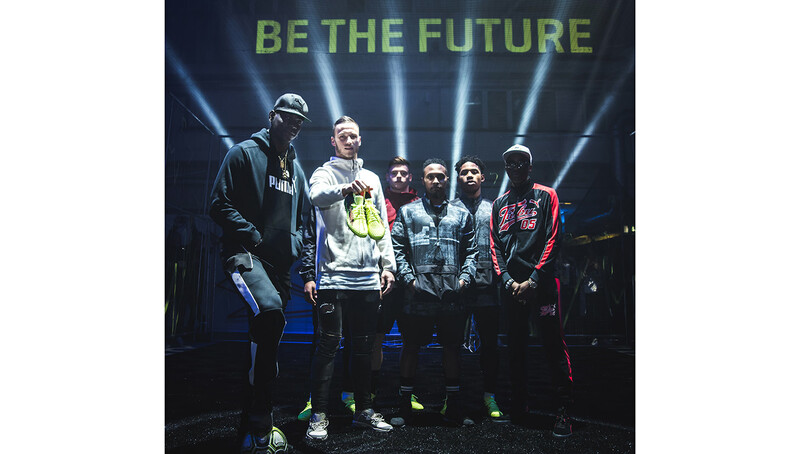 To celebrate the release of the new FUTURE 18.1 boot, Puma hosted a high-profile event in the heart of London featuring some of the world’s top players and hottest musicians including Mario Balotelli, Lisa Zimouche, MHD, and Hardy Caprio. Why do boots seem to have more trends than all other apparel? 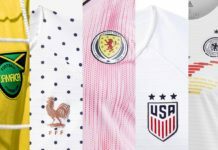 It must have something to do with the innovative technology that brings comfort, deadly touch, and style to the player. If it feels good, looks good, and makes your shot good, it can’t hurt, right? 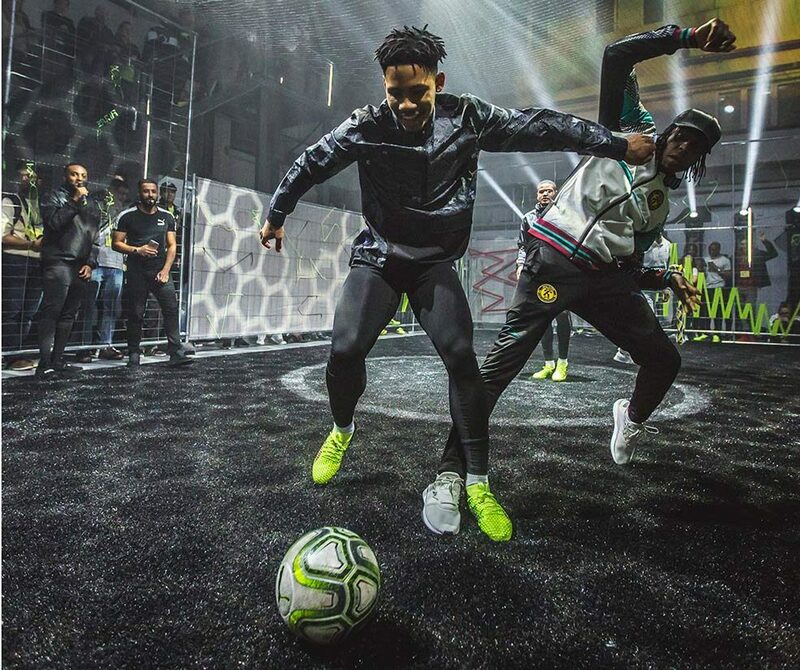 Adidas and Nike have been battling with some creative boots on the market bringing high-top and laceless boots to the football game. Puma has decided to answer back. 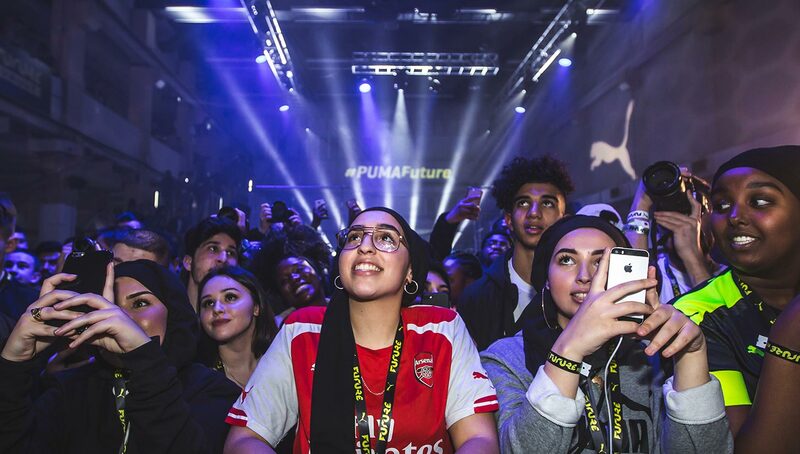 Within central London on January 29, Puma launched the new FUTURE 18.1 with an event to showcase the revolutionary boots. 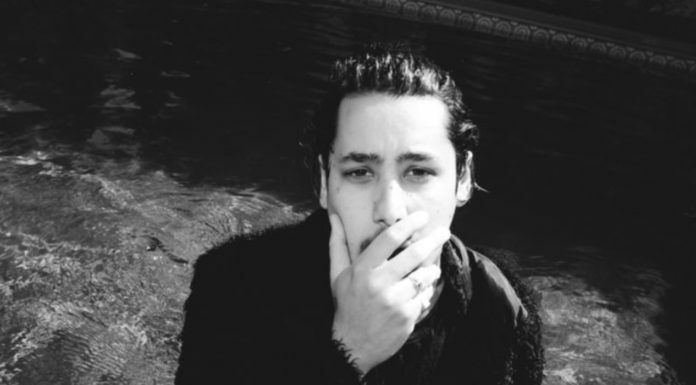 The event was truly something else. Purple lights glared to set the mood for the crowd of spectators. Along with a 2v2 tournament, there were some surprise guests that made an appearance. Lisa Zimouche, aka Lisa Freestyle was there catching the crowd’s attention with her impressive freestyle combinations. 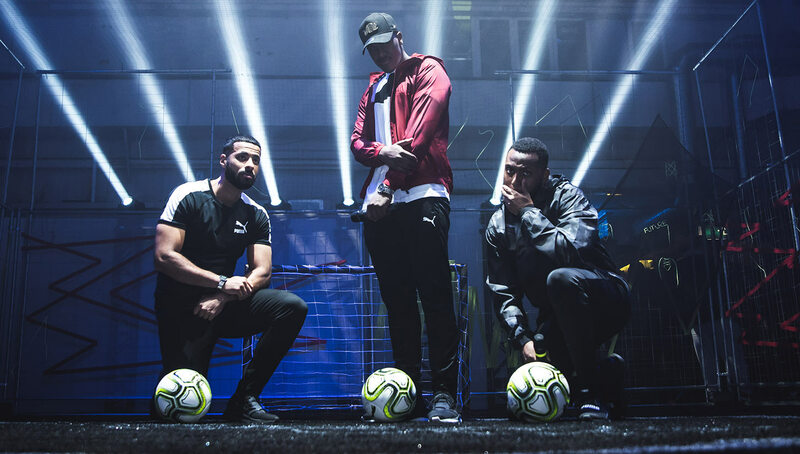 French rapper MHD performed alongside UK rap giants Hardy Caprio, One Acen, and Krept and Konan to get things fired up. 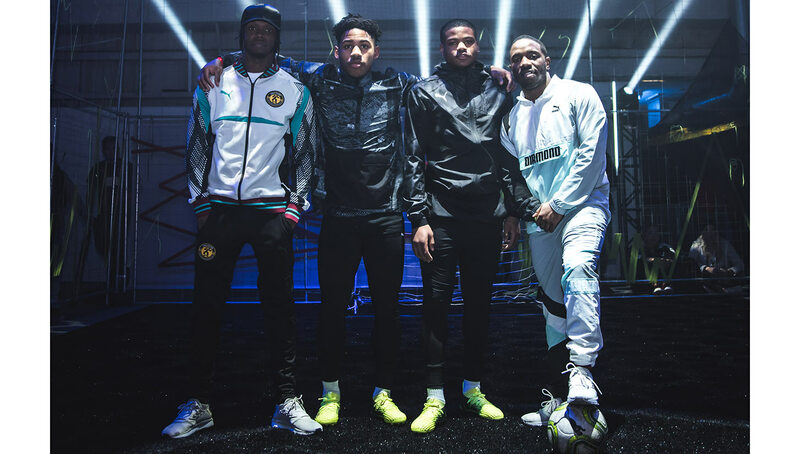 EPL Academy stars and Puma athletes from top-level EPL teams such as Arsenal, Fulham, and Leicester City were in attendance as well, very much fitting the event’s “next generation” theme. 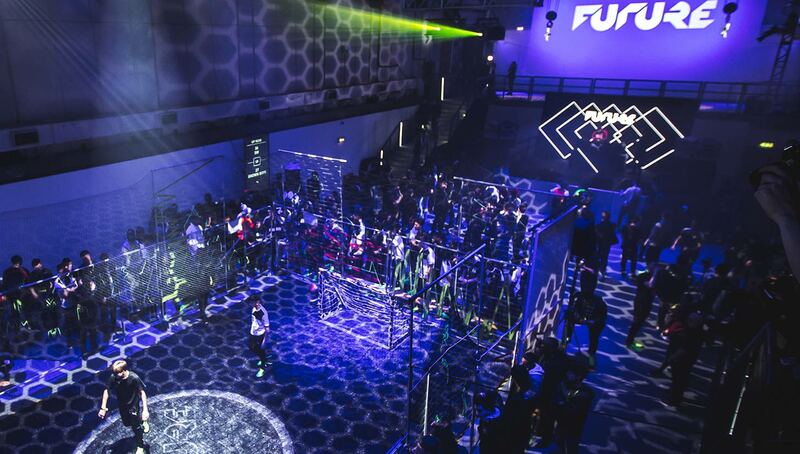 Oh yeah…Mario Balotelli was there, challenging MHD in some FIFA. Sounds like a pretty good time, right? Now to bring everything back together, let’s discuss the boot itself. Puma decided to try the adventurous and creative route by changing the boot game — or should we say shoe lace game. The “NETFIT” technology allows a player to tie their laces in any way, shape or pattern they choose to, giving each player a custom fit and look. Along with the new tech, the boot is built to be a striker’s best friend. Precise touch, light weight, and extreme comfort bring all the elements together for the scoring machines. 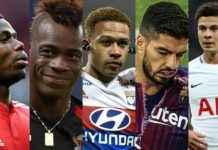 Puma took things a step further by using one of France’s youngest and most powerful strikers, Antoine Griezmann, as the face for the shoe. The man with the infamous “telephone” goal scoring celebration will be repping Puma and scoring bangers with these new boots. 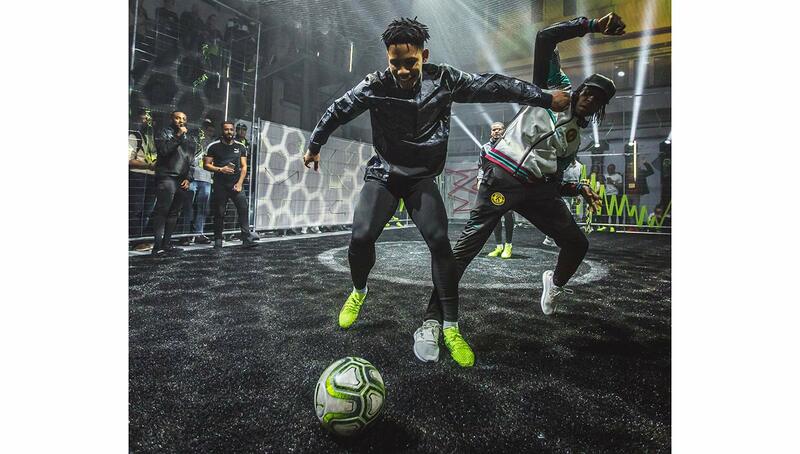 Now that they have also approached the street culture and brought in street ballers along with freestylers, Puma will be surprising the world at the World Cup with some of the flashiest boots on the market.